Summer has arrived faster than anyone would have thought, and it's time for Backyard Party Planning. Busy Bee Jumpers has everything you'll need for a great celebration with your family and friends! 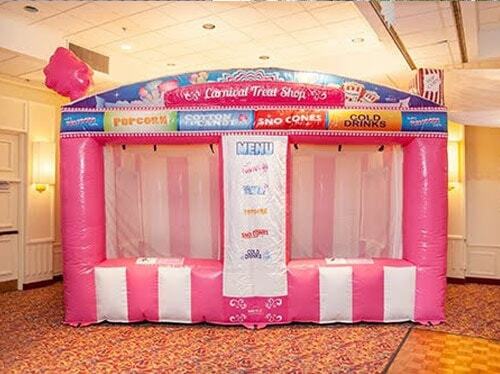 We offer bounce houses, water slides, obstacle courses, fun food machines and much more to keep your guests entertained all day! All products are delivered by our staff who are trained in first aid and CPR! 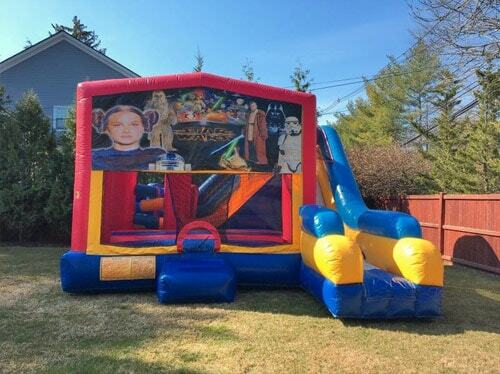 Bounce House rentals are a great way to keep everyone moving and we have over 30 themes to choose from! 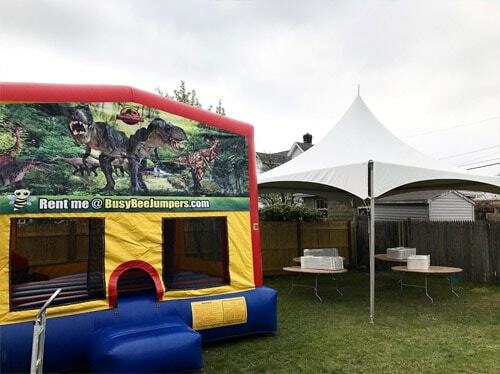 Our standard 15x15 Bounce House will hold 8-10 kids at a time! 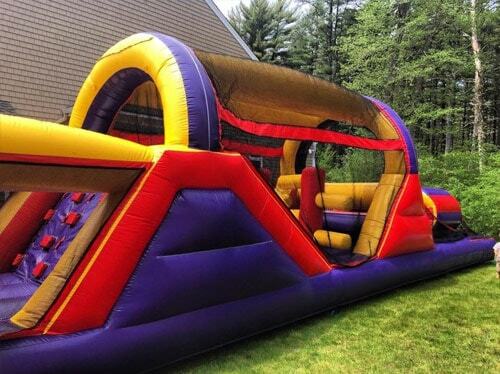 We also offer a Combo Bounce House which features a jumping area, small obstacle, slide and 2 basketball hoops – one on the outside and one on the inside! This will hold 12-15 kids at once! Are you looking to offer shade and seating for your guests? We have tents ranging in size from seating for 40 people to seating for 200 people! Our tent specialists will install all equipment and give you time to decorate for your big day! Perfect for BBQ’s, First Communions, Weddings, Graduations, and any other party you’re looking to have! Who doesn’t enjoy a nice Cotton Candy or Sno Cone? Our machines are super easy to operate and will sit right on any table! In addition to those, we also offer Popcorn and Pucker Powder! Rent the machine with the supplies and you’ll have everything you need! Are you looking for an eye-catching way to offer your guests their concession treat? Our Treat Shops are bright and colorful – the perfect way to serve your guests! Are you looking to surprise your guests with something different this year? We offer Obstacle Courses and Interactive Games which are sure to keep the kids entertained all day long! Some of our larger games even include a Busy Bee staff member to monitor the use of the inflatable leaving you with no worries!